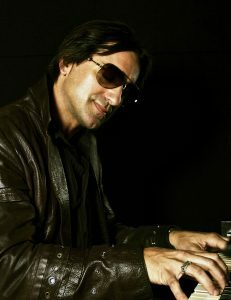 Music & Culture Ambassador of Mississippi, Steve Azar is a modern day Renaissance man, hit songwriter, recording artist, music producer, golfer and philanthropist. Steve likes to call his own breed of music “Delta Soul,” a mixture of country, rock and blues. An accomplished golfer, Steve has been ranked one of the top five musicians that play golf by Golf Digest Magazine numerous times. He is a frequent guest at charity golf tournaments across the country. In 2006, Steve and his wife Gwen started the Steve Azar St. Cecilia Foundation, and annually host the Delta Soul Celebrity Golf & Charity Event. Since it’s inception, the foundation has channeled over $800,000 to many worthwhile causes in the Delta and beyond. Steve has additionally raised hundreds of thousands of dollars for charitable causes through the auctioning of songs. These songs are written for the highest bidder’s charity of choice. Steve has been honored with “Steve Azar day” in the states of Mississippi (on March 13th) and South Dakota (on August 10th). He is the co-founder of Ride Records and in 2013 co-founded the Mighty Mississippi Music Festival, dubbed “A Southern Gem” by the American Blues Scene magazine and included in Acoustic Guitar magazine’s 2014 Roadside Americana: 50 States 50 Must-Attend Events. With a keen interest in mentorship and giving back to the Delta, Steve enjoys being the artist in residence at the Delta Music Institute, part of Delta State University. 2017 marks the bicentennial of the state of Mississippi. Steve has been appointed Music & Culture Ambassador of Mississippi and is working closely with the State of Mississippi in his official role. This position enables him to continue making a positive impact on the State’s tourism and economy. His Delta Soul Celebrity Golf & Charity Event and Mighty Mississippi Music Festival add millions in economic impact to the state every year. As ambassador Steve is making an even larger impact. Steve is the recipient of the 2018 prestigious Mississippi Arts Commission “Governor’s Choice Award”. In January 2018, Steve began hosting his own radio show “In A Mississippi Minute with Steve Azar” on Super Talk Mississippi Radio. Steve takes on the other side of the interview asking the questions and talking with friends from all walks of celebrity sharing their stories to success and what’s going on in their lives now. The show is broadcast throughout the state and available nationally online and via podcast. Mississippi Top 50 is an annual list of the people who are judged to be the most influential leaders in the state. This bipartisan selection of leaders comes from the ranks of elected and appointed officials, economic development professionals, business, media and government affairs. The awards are sponsored by Entergy Mississippi and Mississippi Farm Bureau and awardees were nominated through an open process. Follow MSTop50 on Twitter @MSTop50 or on Facebook to keep up with news and updates about MSTop50 winners and events.